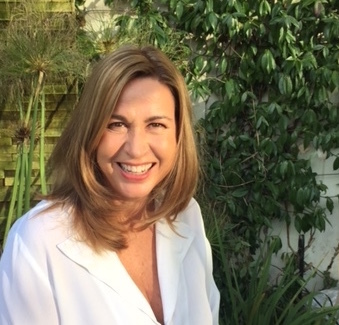 I’m Sara Davenport, health advocate and Founder of national breast cancer charity, Breast Cancer Haven. Welcome to my new website and blog. ReBoot Health looks at all aspects of holistic health and healing, bringing you a regular dose of DIY get-well advice. From nutrition to detox, sleep to air pollution and the best health tests on the market, ReBoot Health covers a wide range of topics, delivering you the low down on conventional medicine and complementary therapies. What works and what’s new. 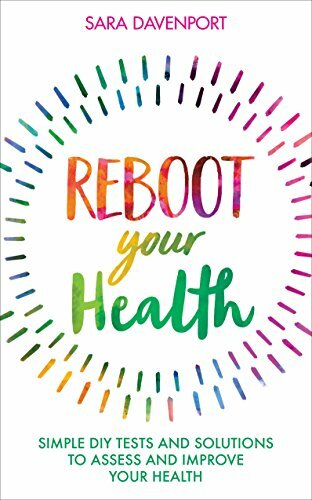 Aimed at those of us, whatever our age, who want to feel as healthy as possible, Reboot Health reveals how to go about a thorough overhaul of physical and mental wellbeing, looking at the workings of your mind and body - simply, economically, and best of all, non-invasively. For anyone interested in holistic health and healing, or for those of us facing our middle and older age, ReBoot Health offers exactly what the title says, a full life reboot. Reboot’s advice is wide ranging, with a pick-and-mix approach to recovery that is never prescriptive, but instead offers an inspiring variety of techniques to try. The weekly articles focus on topics that are backed up by scientific research, the opinions of doctors, colleagues and patients and my own personal experience. All the advice and opinion is based on effective medical, nutritional and complementary therapies. The regular blog posts will bring you the best of holistic health – packed with inspirational snippets, recipes and ideas on how to live better, underpinned by advice on how to get to the bottom of the causes of your health problems. ReBoot Health will digest the latest scientific findings, too, scouring journals and reports and bringing you the most up to date news on wellbeing. I passionately believe that we are all so consumed with being busy, that we’ve become cut off from an awareness of our physical selves. Most of us never stop to listen to our bodies and have shockingly little awareness of how badly they may be functioning. Most of us too, have little clue how to go about getting better. We have handed responsibility for everything to do with our health to our doctors, and yet, so often, just dealing with a problem yourself when it first appears may well mean you never have to go to the surgery at all. So much of your health is in your own hands. In most instances there really is no need to wait for somebody else to make you feel better. Read ReBoot Health, and sign up for a whole life reboot! I am now 55 years old and have been interested in and working in the health field for nearly 35 years. I grew up between London and Herefordshire, but have lived in London for most of the past 30 years now. I have two daughters and got married again last year. I left Cambridge University in 1983 and went to work at Hodder & Stoughton Publishers in the publicity department. I decided it wasn't for me after a year, ending up temping in an art gallery for the summer instead. I sold so many paintings that they offered me a permanent job, and two years later went on to start my own art gallery 'Sara Davenport Gallery' on Walton Street in London. I specialised in 18th and 19th century dog paintings, and was the world expert in the subject (in that originally there weren't any other competitors!) for 17 years until I sold my art gallery and all the paintings, to start what is now the UK's third largest breast cancer charity, Breast Cancer Haven. The Haven now has centres all over the UK, in London, Hereford, Leeds, Hampshire and Worcester, with more in the pipeline, and has helped tens of thousands of people, free of charge, through what is one of the most difficult times of their lives. I am currently working on opening a new London Centre, ReBoot Health. My book - 'ReBoot Your Health' - was published by Hay House in June 2018. Please do write to me on email - hello@reboothealth.co.uk, or via Facebook. I'd love to hear from you, and do please comment on any of the blogs. I would really like to hear your thoughts or your own experiences on holisitic health. There's a subscribe button on the bottom of every page, so please sign up if you would like to receive an email once a week with the latest articles. This is my own personal blog based on my own experience and opinions. I make no representations as to accuracy, completeness, currentness, suitability or validy of any information on this blog and will not be liable for any errors, omissions or delays in this information or any losses, injuries or damages arising from its use.